The Arkadelphia Public School District was reaccredited by AdvancED after a site visit in the spring semester of 2018 according to a report released from the independent company. 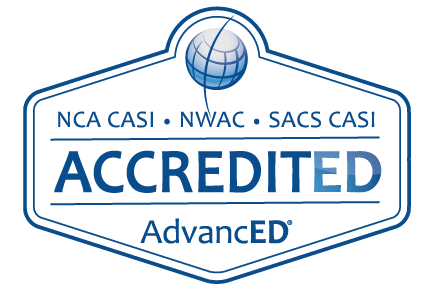 AdvancED is a non-profit, non-partisan organization serving the largest community of education professionals in the world. AdvancED grants accreditation based on a comprehensive week-long on-site review which includes observations of classrooms throughout the district and various interviews with stakeholders including administration, faculty and staff, students and community members. AdvancED grades districts in over 30 criteria, and classifies those ratings in four categories: Needs Improvement, Emerging, Meets Expectations or Exceeds Expectations. Out of the 31 standards that comprise the AdvancED review, Arkadelphia Public Schools rated either “Meets Expectations” or “Exceeds Expectations” in 30 of those areas. APS earned a rating of “Exceeding Expectations” in 17 standards with APS meeting expectations in 13 standards. APS was given an “Emerging” rating in the remaining standard. The accreditation board touted the Arkadelphia Promise and the APS Pre-K programs as what AdvancED terms “Powerful Practices.” The accreditation board recommended that the District examine the process in place for reviewing the District’s mission statement, vision and values as well as examining the use of technology in the lower grades within the District. Founded on more than 100 years of work in continuous improvement, AdvancED combines the knowledge and expertise of a research institute, the skills of a management consulting firm and the passion of a grassroots movement for educational change to empower Pre-K-12 schools and school systems to ensure that all learners realize their full potential. Copyright © Arkadelphia Public Schools 2016. All rights reserved.